Lulu is wearing the transeasonal Secret Agent Short Trench in PERSIAN BLUE/grey check. This image showcases the contrast detailing on the jacket. We have added the check to the contrast piping around the flaps and sleeve straps, under the collar and on the inside of the cuffs. 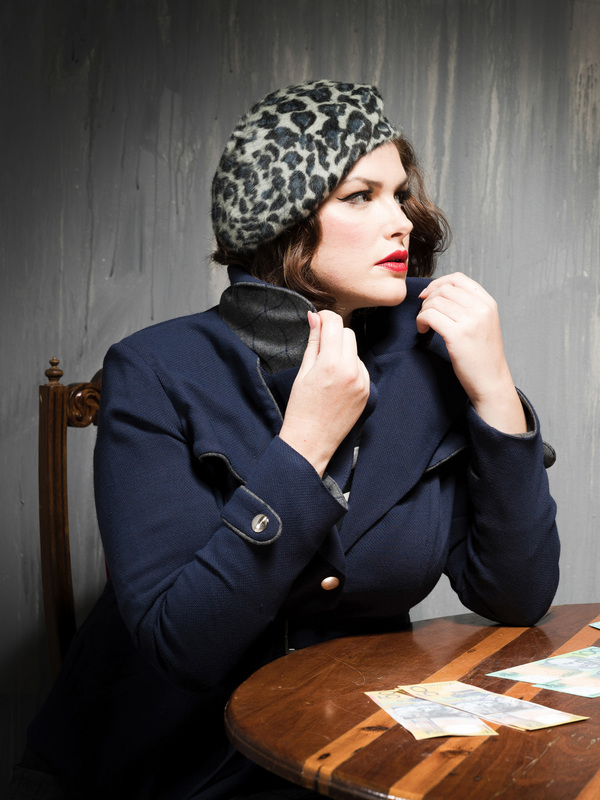 This jacket matches back with the Madam Spy Pencil Skirt in PERSIAN BLUE/grey check or the CEO Skirt in GREY CHECK.